This is the view outside of my office window right now and the inspiration for this weeks Your Three Words. 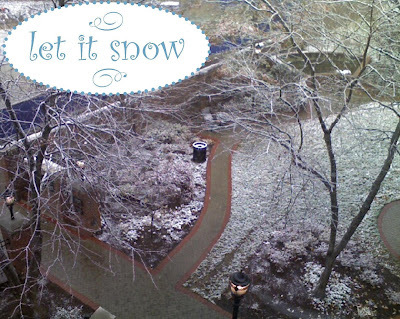 Disclaimer- Snow is only okay between November 1st- December 31st. After New Years Eve, it should automatically be spring. I love your Y3W pics. How do you make them, with the fonts and designs? Photoshop? You must be a digital scrapbooker?? Where do you get your design images?